Why is it necessary to restore baby teeth that are decayed? Aren’t they going to be replaced by new permanent teeth anyway? 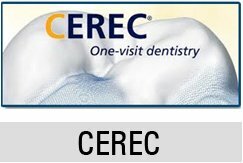 Home/Why is it necessary to restore baby teeth that are decayed? Aren’t they going to be replaced by new permanent teeth anyway? It is very significant to preserve the baby teeth in a healthy state because these teeth maintain space for the permanent teeth that are yet to erupt. If a baby tooth gets decayed or is extracted before time, the space required for the permanent teeth is lost and orthodontic treatment is carried out to recover the lost space. Diseased baby teeth can produce malformations in the permanent teeth like stains, pits and fragile teeth.